Even in hundreds of years from now it will be possible to find plastic objects from our time on beaches and in the sea. As witnesses of our civilization they will, in the long term, become archaeological objects. 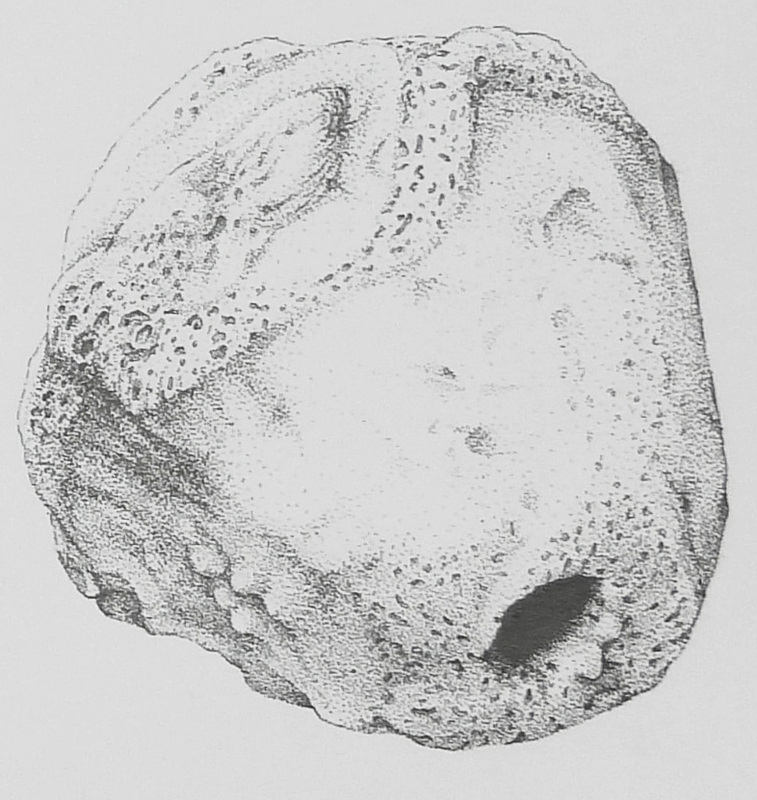 Students from the Scientific Visualization specialization course of the ZHdK have produced drawings that examine pieces of flotsam from Hawaii as if they were found objects from the Bronze or Stone Ages. For over twenty-five years debris has been collected and evaluated worldwide on the annual International Coastal Cleanup Day. 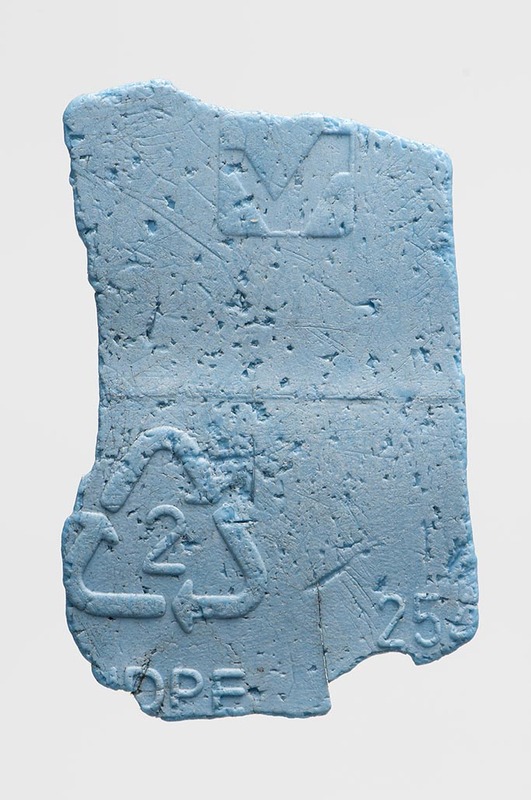 A large proportion of the material found is made of plastic. 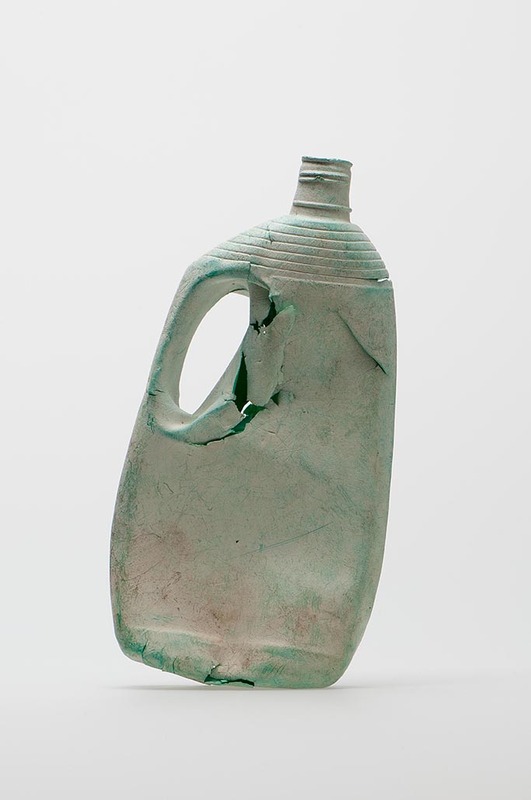 Among the “top ten” of the objects most frequently found, plastic is strongly represented. On the 2015 International Coastal Cleanup Day, 74,321 balloons and 10,0117 toys were collected. Every year around 3.5 million toothbrushes are produced around the world. 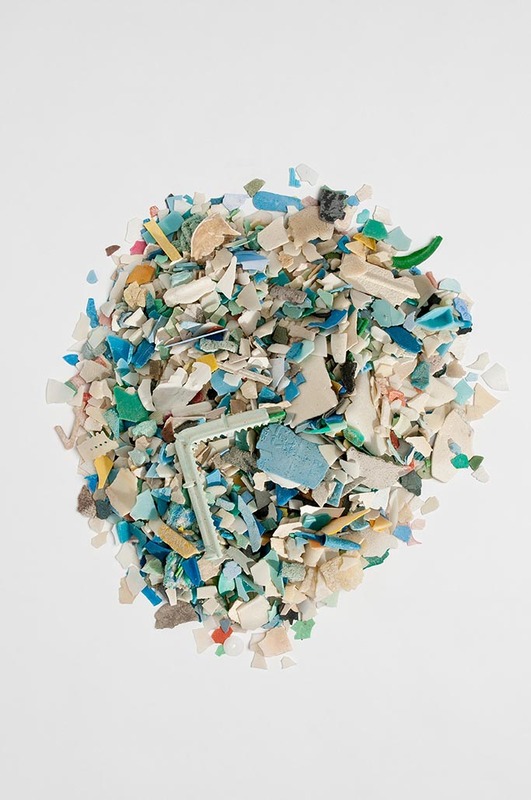 Together with other everyday objects, they regularly end up as plastic debris in the sea. Marine Litter Watch, an online tool, provides constantly updated data from beach cleanups and the findings being made. The Marine Debris Tracker gives an overview of recent findings and locations related to plastic garbage and other marine litter. In the seas there are extensive, three-dimensional systems of currents created by the rotation of the earth, wind movement, and differences in pressure, temperature, and salt content, as well as by the topography of the seafloor. They transport water masses and all objects in and on them across the ocean basins. In five areas of the world’s seas surface currents that are driven primarily by the movement of the wind lead to the formation of large rotating water gyres. The still zones within these gyres are known as “garbage patches,” as particularly large numbers of floating objects collect there. Once flotsam reaches a gyre it can swirl around there for decades, gradually disintegrating through friction and the effect of sunlight into smaller and smaller pieces. Up to 700,000 square kilometers in size (the Great Pacific Garbage Patch), the garbage patches are often described as “continents” but really seem more like a “soup of plastic,” since their components constantly shift around and even move between the different patches. In spite of their immense size, the gyres are not actually visible from the sky. "Hi, it’s Greg Shirah from NASA’s Scientific Visualization Studio. We wanted to see if we could visualize the so-called ocean garbage patches. We start with data from floating, scientific buoys that NOAA has been distributing in the oceans for the last thirty-five years, represented here as white dots. Let's speed up time to see where the buoys go... Since new buoys are continually released, it's hard to tell where older buoys move to. Let's clear the map and add the starting locations of all the buoys… Interesting patterns appear all over the place. Lines of buoys are due to ships and planes that released buoys periodically. If we let all of the buoys go at the same time, we can observe buoy migration patterns. The number of buoys decreases because some buoys don’t last as long as others. The buoys migrate to five known gyres also called ocean garbage patches. We can also see this in a computational model of ocean currents called ECCO-2. We release particles evenly around the world and let the modeled currents carry the particles. The particles from the model also migrate to the garbage patches. Even though the retimed buoys and modeled particles did not react to currents at the same times, the fact that the data tend to accumulate in the same regions show how robust the result is." The currents in the northern Pacific flow in such a way that sooner or later every floating object that enters the sea from the coasts of Japan, China, Russia, Korea, the United States, and Canada could be washed ashore in Hawaii. Following the tsunami and the subsequent nuclear power plant catastrophe in Fukushima in March 2011, the movement of the flotsam that is being swept from Japan in the direction of Alaska and Hawaii is being followed with particular concern. On the homepage Plastic Adrift, visitors can throw a little rubber duck into the ocean and see how it will move in the currents over the next ten years as well as where it will eventually end up. What happens to plastic objects once they enter the water? Light pieces of plastic float around on the surface and are carried by the currents for long periods of time and across great distances. Some of them are washed onto the coasts. Plastics with a density higher than that of water sink to the seafloor. But a large amount of plastic debris is also eaten by animals. A great deal of plastic enters the ocean because in many countries proper waste disposal and recycling systems are not available. But littering in coastal regions and at sea are also huge sources of plastic garbage. Often there are no regulations at hand that provide a legal framework to prevent littering or to strengthen recycling systems. Since plastic is a very long-lasting material, the problem of its behavior in the water of the world’s oceans and the question of how to prevent plastic reaching them in the first place will be keeping us busy for just as long. Mechanical friction, sunlight, and chemical processes lead to the disintegration of plastic objects. The volatilization of plasticizers makes the material brittle, and in the course of time it breaks down into tiny pieces. Heat, pressure, and sunlight attack the material in different ways. Clumps of plastic formed as a result of melting often incorporate foreign materials. Plastic in the oceans not only harms the inhabitants of the sea on an individual level (through entanglement or ingestion) but also represents a major threat to entire ecosystems. Species are now traveling on plastic over far wider distances than they could have ever while there were only natural materials in the ocean. They are now able to settle down in another ecosystem and threaten its balance. Plastic particles continuously break into tinier pieces and, in this way, become a part of our food chain at the very bottom. The tiny particles settle in on the floor of the ocean and become an unremovable part of the natural habitat. A special new way in which organisms use pieces of plastic is known as “hitchhiking.” To reproduce, certain kinds of algae and plankton depend on floating material on which to lay their eggs. Previously they used vegetable material that decayed after a short time. Ever since large numbers of floating pieces of plastic became available and can be transported by currents across great distances, they use not only ships but also plastic as means of transportation. Thus these species can travel previously inconceivable distances to reach new habitats, where they pose a massive threat to the existing ecological balance. Floating plastic objects or those that sink to the ocean floor are colonized by a variety of marine organisms. The animals are carried by the currents in the larval stage and come into contact with plastic garbage that offers them a base on which to settle and develop. Fishing nets and lines can become deadly traps for marine creatures. Fish, sea mammals, and turtles become entangled in the “ghost nets” and suffocate or starve. For shipping, too, these nets, which often form gigantic clumps, represent a serious hazard. Six-pack rings and other loop-shaped plastic products can be of great danger to playful maritime animals that, if caught up in them, are unable to free themselves. Especially when a young animal gets caught in a plastic product, the injuries are particularly serious, as the plastic does not grow along with the animal. A number of species—animals and plants alike—benefit from the new material: they develop new ways of using plastic products. For instance, birds use plastic bands to build their nests and hermit crabs employ parts of bottles as their shells. Mussels and corals settle on buckets, pipes, and other objects that have sunk to the bottom of the sea. In general, garbage has become part of the habitat for many species. While all kinds of animals that feed on plankton also unintentionally ingest microplastic, birds and turtles often deliberately eat pieces of plastic, as they mistake them for food. The contents of the small bowl displayed here were found in the stomach of a fulmar and represent the average amount of plastic that a fulmar in the most heavily polluted area of the North Sea carries with it. This plastic weighs 0.6 grams. In the second bowl, the amount that bird would carry if it weighed the same as a human being is displayed. According to Jan van Franeker, researcher at the Institute for Marine Resources and Ecosystem Studies (IMARES), migratory birds also function as transformers and transporters of plastic: three-quarters of the plastic in the stomach of a fulmar is ground down and excreted elsewhere. The scientist reckons that in this way the birds distribute hundreds of tons of plastic worldwide and process it into microplastic. Many animals mistake pieces of plastic for food. Birds eat PET bottle tops, fire lighters, and various plastic fragments. A remarkable number of remnants of plastic bags were found in the stomachs of dead turtles. Depending on the form of the animals’ gullets and stomachs and the way they function, the indigestible pieces cannot be excreted, leading to the animals starving with full stomachs, choking, or suffering internal injuries (perforation or laceration of the intestinal walls). Plankton-eating organisms ingest microplastic along with their natural food. With his organization International Pellet Watch at the Laboratory of Organic Geochemistry in Tokyo, Professor Hideshige Takada (Tokyo University of Agriculture and Technology) studies the worldwide occurrence of long-lived pollutants in plastic pellets. A network of volunteer collectors sends him samples of around two hundred pellets found on local beaches. The information thus acquired provides an indication of the global distribution of persistent organic pollutants (POPs), which can differ considerably from region to region. PCBs are toxic and carcinogenic chlorinated biphenyls that were used until the 1980s above all in transformers, electrical capacitors, in hydraulic plants, and as plasticizers in paints, sealants, insulation material, and plastics. PCBs are numbered among the twelve organic toxins known as the “dirty dozen” that were banned worldwide by the Stockholm Convention of May 22, 2011. PCBs have spread throughout the entire world and have been identified in the atmosphere, seas and rivers, and in the ground. They, too, are nearly insoluble in water and concentrate in the fatty tissue of living creatures. Even small amounts can have a chronically toxic effect. The typical effects of PCBs are chloracne, hair loss, pigment disorders, liver damage, malformation of embryos, and damage to the immune system. They can delay physical and cognitive development. In addition, the chemicals are suspected of having a hormonal effect and of being responsible for male infertility and feminization. DDT is a chlorinated organochlorine with low degradability. It is almost insoluble in water and collects in fatty tissue, the liver, the nervous systems of living creatures, and breast milk. In 1948, Swiss scientist Paul Hermann Müller won the Nobel Prize for discovering the effectiveness of DDT as an insecticide. Subsequently, this substance was used intensively to combat malaria and in the area of agriculture. As early as the 1940s, however, various American scientists raised questions about its possible harmful effect on health. It was noted, for example, that the existence of DDT in the habitat of threatened species of bird, such as the bald eagle, resulted in thinner eggshells and damage to female reproductive organs. The suspected effects on human beings are disorders of the hormone system, premature births and miscarriages, diabetes, and carcinogenicity. HCH, also known as lindane, is a polyhalogenated compound used as an insecticide and wood preservative. Its use in Europe was banned in 2007. Lindan is a neurotoxin that concentrates in the food chain. It is toxic for water organisms and is suspected of being carcinogenic and contributing to the development of Parkinson’s disease in human beings. It is suspected that where the normal amounts are exceeded this can result in multiple sclerosis and nerve damage as well as changes to internal organs and blood formation. When exposure is chronic, it may be stored in breast milk, blood plasma, body fat, bone marrow, and in the central nervous system. In the former GDR, bone marrow damage was recognized as an occupational illness among skilled workers and farmers resulting from frequent contact with the chemical. Since 1999, Californian artists Richard and Judith Lang have been collecting pieces of plastic washed up on a remote nine-hundred-meter-long section of Kehoe Beach, Point Reyes National Seashore. The garbage that they find is not left behind by visitors to the beach but washed ashore by the sea. Richard and Judith Lang sort and classify the pieces according to their color and kind and use them in their artistic works. In the installation The Mermaid’s Tears, this artist couple combines close-ups of plastic nurdles with a sand table on which the situation of microplastic particles on the beach is simulated. With the help of a magnifying glass, the area of sand can be examined more closely. In this way viewers can discover for themselves just how difficult it is to distinguish grains of sand from plastic particles. As part of this work, Richard and Judith Lang had Professor Takada examine the amount of pollutants contained in the plastic pellets found on the beach.